Sonic Flux makes a passionate and finely detailed case for a materialist view of sound and gives sound art its own place in the historical arc of music. Christoph Cox ties together Nietzsche's conception of the Dionysian and Attali's theories of territorialization to outline something like a Tao of sound—a ‘field of fluxes’ that exists before and outside humanist models of signification and narrative. Sonic Flux returns sound to itself, and frees the act of listening from any need to replicate the tendencies of reading or looking. 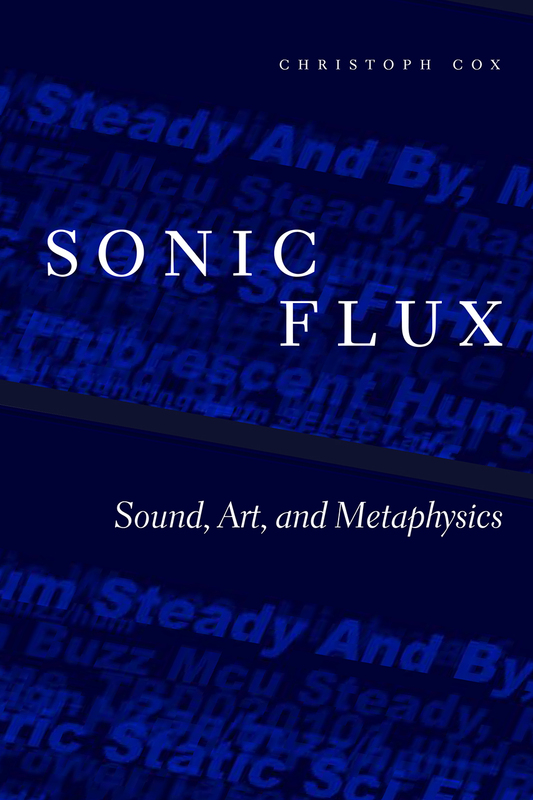 Sonic Flux is a book that may well revolutionize both philosophy and audio culture. Just as the words we speak are ‘sampled’ from the reservoir of language, Cox argues that sounds are extracted from an intensive material continuum—the ‘sonic flux’—which he explores through a rich array of concepts such as synesthesia, acoustic space, room tone, noise, signal, and time. In doing so, Cox appeals to a wide array of sonic artists—from pioneers such as Cage and Schaffer to a host of more recent figures—whom he treats as philosophers, as thinkers who happen to think in sound rather than concepts. Sonic Flux may finally compel philosophers to take the aural as seriously as the visual. An essential work. Whether you like your materialism old or new, this is the manual for thinking about sound in its material flux. And if you don’t like your materialism at all, this book is all the more important, because no one is more comprehensive or more persuasive than Cox. A test and a testament—as close to a must-read as the study of sound is likely to produce.